Kit Includes 6 qts. Oil, K&N oil filter,O-rings and crush washers. Great kit with everything included. Made changing oil with quality oil simple and about the same price as the OEM semi-synthetic with a better oil and filter! Installation video was very helpful as this was my first attempt at an oil change. Have traveled approximately 1000 miles since using this kit. Shifting is noticeably smoother and engine noise and temperature are down a bit also. So far product definitely is as advertised! Will gladly give the five star rating if this performance holds for the long haul !! This really worried me on the longititive of transmission. Plus the clunk people heard and turn to see what happened. My gold wing friends smiled and laughed quietly. 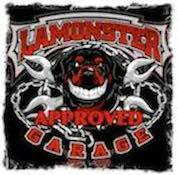 I started with new Lamonster oil and let engine warm up. I put in reverse- clunk- backed out of garage. When turning around I shifted to reverse and - magic- the bike smoothly shifted. All gear shiffts are quicker and smoother . After a few days now and not once has the shifting clunked in reverse. Much happier with spyder now and super happy I am not embarrassed to back with friends sitting next to spyder! SUPER NICE smooth quiet shifting every shift! I will buy Lamonster oil everytime. Second oil change still clunked and dealer said it was normal on some bikes! Now third oil change and smooth spyder shifting . This is a quality Kit, will probably order it again. First time I changed my own oil and filter watched the video took my time everything went great! A little nervous with that torn plug but came out fine did change to gold plugs though.So far runs great seems to be smoother quieter shifting with Lamonster oil. Very pleased with purchase! Kit had all the O-rings required along with K&N Filter and Spectro oil. Everything I needed to do my service. Like the K&N filters, got parts faster than local dealer could order kit from BRP. Did not have to make two trips to dealer to order parts and pick up. did it all from home and UPS dropped it off. Delivered as promised. Have not used the kits yet. However, I trust this product to perform as advertised.